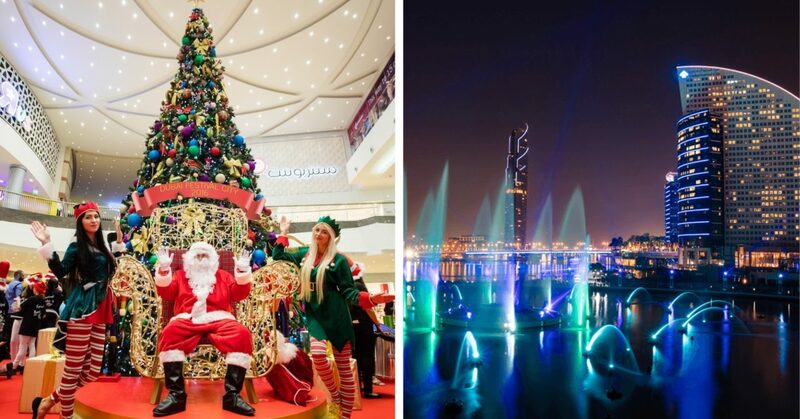 Dubai Festival City Mall’s Festive Market kicks off on Thursday, 6th December, with Santa Claus and his elves all set to make a unique entrance with a special show at Festival Bay. Pay, play and win awesome prizes! Looking for fun ways to spend time with the family? The Dubai Festival City Mall Festive Market is the perfect destination for your next family day out, with everything from carnival rides and activities for kids to face painting and pop-up games. Up for a challenge? There will be a number of different skills games at the market that lets you pay, play and win awesome prizes. Take a break from all the festive fun at the various chill-out zones, where you can kick back on beanbags or picnic benches while enjoying a delicious festive treat. Still not feeling the festive spirit? Wait until you witness the special festive-themed IMAGINE show which is set to take place every day after sunset. This jaw-dropping light, water and laser show has broken world records, with its giant aqua screens, 30 lasers and fountains, and impressive surround sound. Don’t miss it! From shopping to dining and everything in between, this magical market is guaranteed to get you into the festive spirit in seconds. Expect to find an array of pop-up stores by popular retail and food brands such as Robinsons, Pinkberry, Holland House Mini Pancakes, Booktopia and so many more! Say goodbye to Festival Bay and hello to ‘Festive’ Bay as this is a one-of-a-kind event not to be missed this December! You’ll catch us there getting into the festive spirit at the opening event, so be sure to stay tuned for our upcoming video! For more information about this family-friendly Festive Market, visit the Dubai Festival City Mall website. previous7 FREE Things to do in Dubai on Your Birthday! nextAttention Parents: These Winter Camps Are Offering Discounts Right Now!